Many times we want to hear whatever we type. In other case, most of us ever search for some software to convert the text into audio. So guys, after reading this article, you’ll not need to wander here and there for any text to audio converting software. In this article I’m going to tell you the best and amazing trick to convert your written text into audio in no effort. Yes friends, you can do it in less than a minute using the Notepad, a well known text editor. As I think everybody of you would use Notepad somewhen in your daily functioning on your computer. So, by using Notepad, you can very simply convert text into audio in no time. 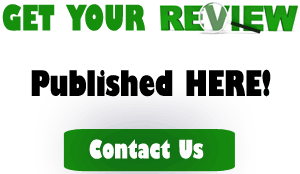 Another thing is that this method of converting text into voice is absolutely free. STEP 1: First of all, Open Notepad on your computer or laptop. If not found, just Press Win+R and Type Notepad and Press Enter. STEP 3: Now, it’s time to save the above code. But keep in mind that the code must save in .vbs format not in .txt format. STEP 4: Now, visit the location where you saved the converter and look for your saved file. You’ll see that your Notepad program is automatically converted into a Visual Basic Script File (VBS File). STEP 5: Now, Double Click on this icon and Enter the text you want to hear. 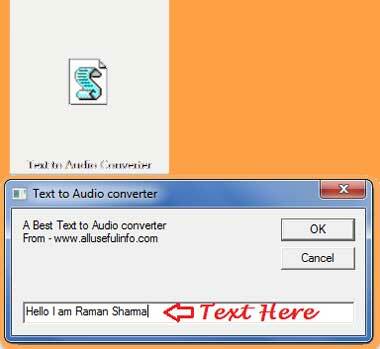 As you Click on OK the Text will be converted into audio immediately. That’s it! As soon as you will Click on OK, the text you enter will be converted into audio and you’ll hear a human voice. So, I hope the article will be helpful for you and you all will be able to apply it on your behalf. Despite this, if you face any error or problem, feel free to leave a comment here. The is absolutely right but there was a problem with text format you copied. Now I make it right as well. Try it again and it will work definitely!! thanx Raman it’s working now . wow, fantastic! I can hear what i write. Its the best option listen my own written speech for better verbal practice..!! Yes Amit, you’re right…Glad to know that you liked this article..!